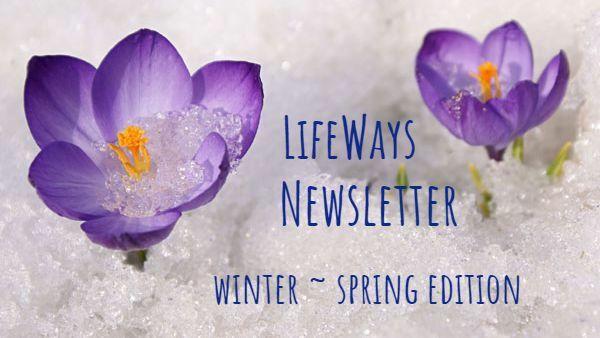 Your LifeWays Newsletter is HERE! Relax and enjoy some enriching (and EXCITING) news! What a blessed topic for our newsletter – Beauty ! It lifts it out of having a seasonal focus into something that offers us solace and spaciousness whenever we seek to find it. 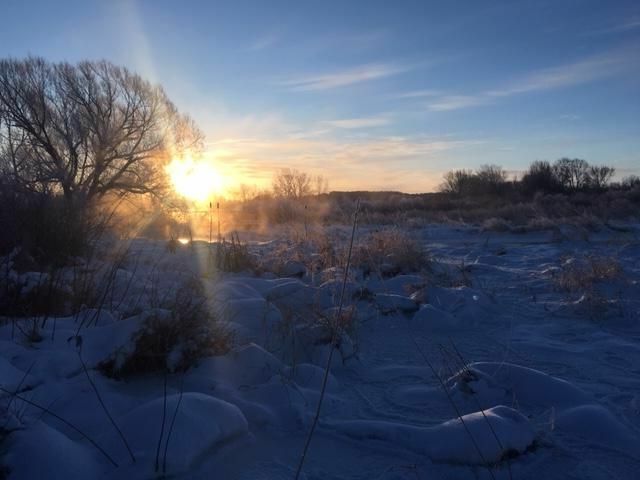 With both winter and spring woven into the following articles, we also find the gift of timelessness that lives in the overarching topics we are currently exploring over three newsletters – Goodness, Beauty and Truth. A few of our authors are already weaving this trio together in their stories. THANK YOU to each of you for opening your heart to us. 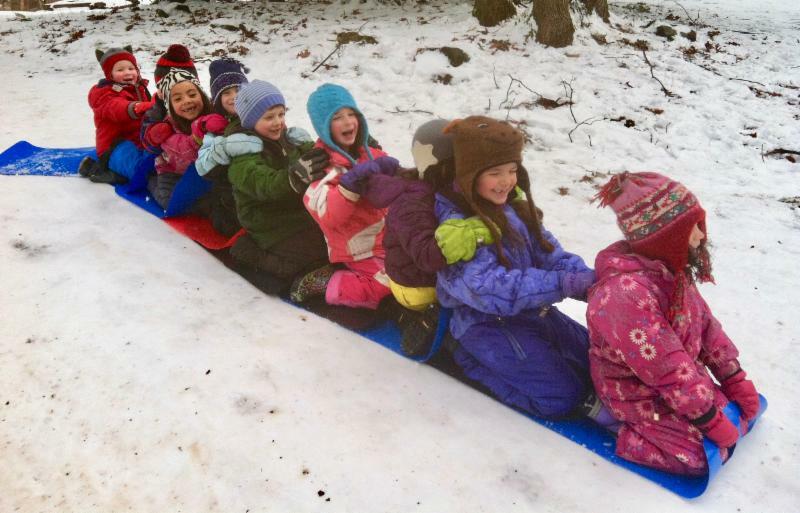 In the name of Beauty, we are featuring Rosebud Preschool in Kimberton, Pennsylvania. In addition to being home to this amazing LifeWays Representative program, Kimberton is also one of the four locations in North America hosting our new Early Childhood Fundamentals Course (see details below) in August! We are super excited about this! To light in our thinking. toys, attention and connection shines through them. 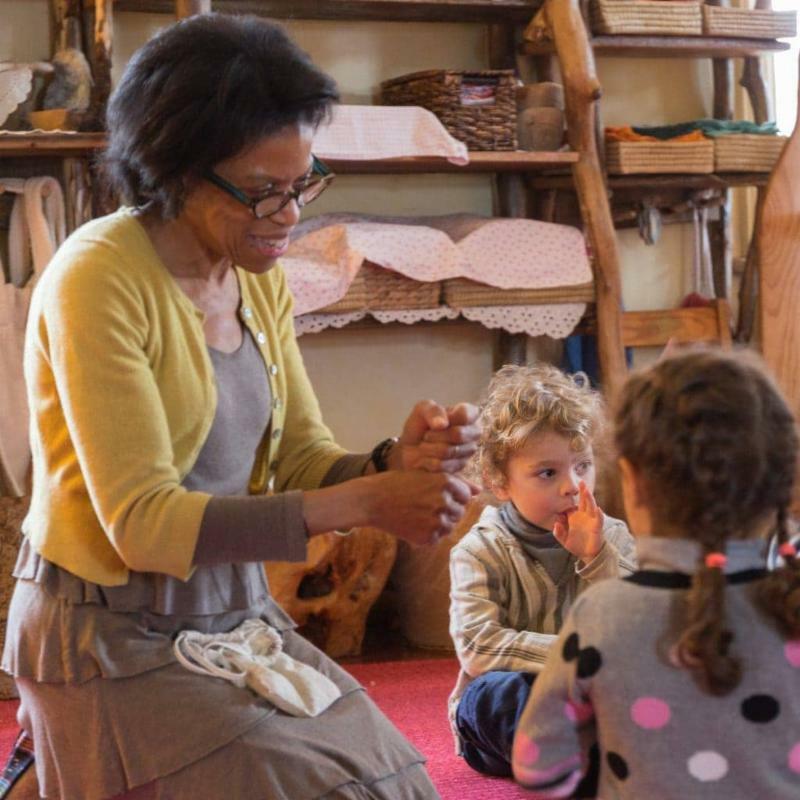 It was nearly 35 years ago when I walked into a Waldorf kindergarten classroom for the first time. Beauty met me at the threshold and beckoned me forward. The kindergarten was in a small “pioneering” school. The building itself, above a business in the midst of an urban setting, wasn’t pretty. The furniture wasn’t new. The carpet was shabby. Yet a rosy glow warmed me and the space was awash with veils of color. Something that looked like an altar made me gasp at the mystery, grace and loveliness of nature that radiated from it. In every corner of the room true objects, true colors and true shapes fed my senses and instilled in me a feeling of peacefulness coupled with an impulse to step forward, interact with these surroundings, and engage with the beauty around me. 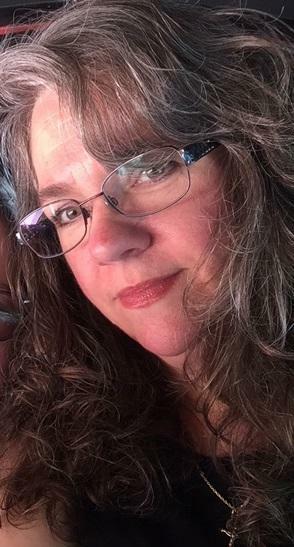 A person approached – this was the kindergarten teacher (on an Open House day with no children in the room). I asked her about the qualities of the space. She said something like, “In Beauty one feels well.” This moment changed the course of my life. The history of education in my community, Ohswe:kon (or Six Nations of the Grand River Territory), is anything but beautiful. Education, as an institution, was introduced by the Government of “Canada” through the Catholic and Anglican church, with the sole purpose of assimilating our peoples and severing our connection to our land, families, and culture. Residential schools or government sponsored Boarding Schools operating from 1800s to the 1990s, were explicitly designed to “kill the Indian in the child.” Our languages, culture, and society were viewed as inferior, heathen, dangerous and a barrier to economic progress. As a result, children were ripped from our communities and taken to such institutions as “the Mush Hole” (or the Mohawk Institute, located in Brantford, Ontario) for “educating.” Children were abused, many died, and our own people even began adopting the belief that our peoples, languages, and ways are, in fact, lesser and a hinderance to our own progress. With the trauma of Residential Schools still lingering in our collective consciousness, education has left an impression on our people that is cold, divisive and painful. So how do we, given this history and trauma, bring beauty to our youngest children’s education? 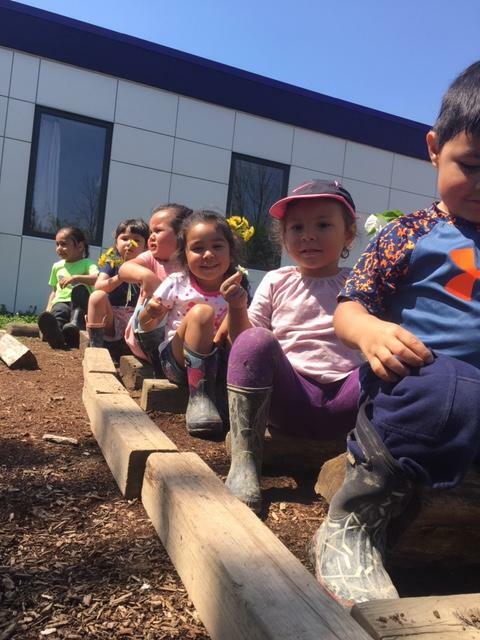 This was a question that I held as I was tasked with developing the first Mohawk Immersion, Waldorf and Lifeways inspired preschool program at Skaronhyase’ko:wa Tsyohterakentko:wa Tsi Yontaweya’tahkwa ( The Everlasting Tree School) in 2017. I make it a point to take daily walks with my children. Though we live in the city, nature is always around us. 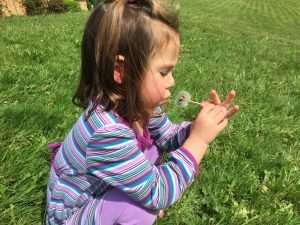 Walking in nature with young children is both therapeutic and revelatory, mostly because nothing escapes a young child’s attention. One morning, I noticed my sixteen-month-old son pointing at a crow. Transfixed, he stared at the neighborhood crows as they perched on the telephone wires, preening. That night in bed, I couldn’t stop thinking about the look on his face. His face was so awe-stricken, so lit from within that one would think he’d just witnessed beauty personified. Then, as the crows took off toward the high branches of an oak, how his body shook with giggly joy! What did he see in them? Crows were, to my mind, pesky city birds with shrill voices and a predilection for trash. 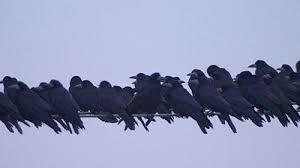 What’s more, I’d never even noticed the crows in our neighborhood. For four years I’d walked the same stretch of neighborhood with my children; for four years I’d never noticed the bevy of crows that swooped down from the telephone wires to amuse and delight my tiny son. 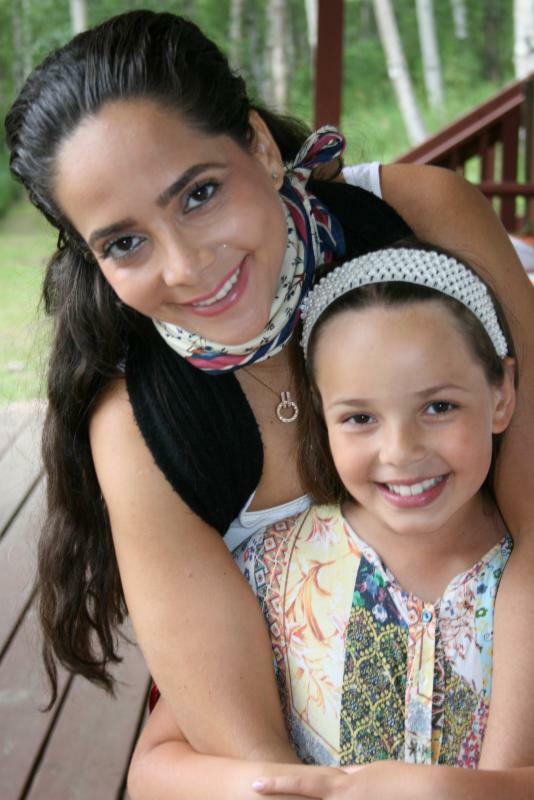 As an adult, I am continually grateful to spend my days with children who are still so strongly connected to the spiritual world. The mysteries and the magic of life is so much more accessible for them, in turn making it more available for me. I want them to believe in what is unseen, and so know, as the adult in their presence, I have to truly believe myself, or at least be open to the possibility of finding hidden gifts in our challenges. 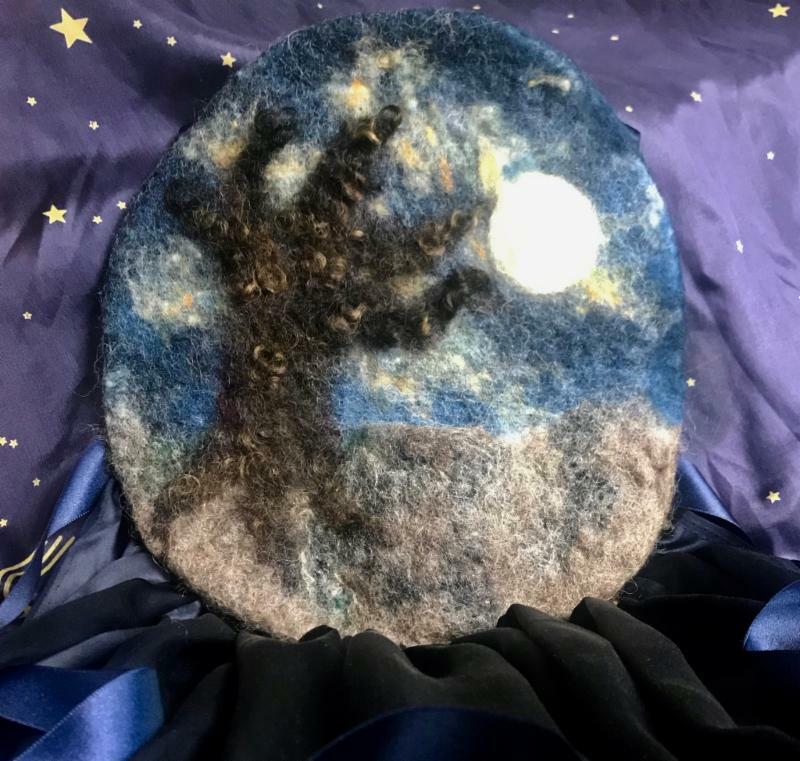 Prelude to Winter: A parade of lanterns through the woods, fairy houses and fairy fires light it up (magic), bonding at the bonfire, cider the children made and song, "This little light of mine." Winter Beauty: When the room is dark, the harpist plays and the angel leads each child on a spiral to the light. 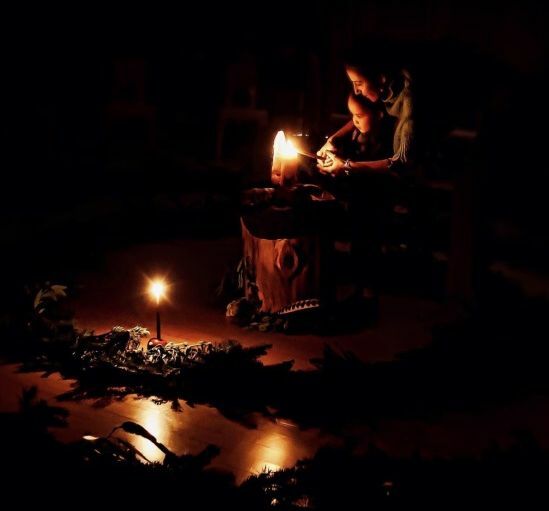 Slowly the room illuminates and we see the glow on each child's face and know the beauty in the warmth of a silent night. Ten children in a circle tapping their drumsticks in rhythm to "Pa rum pa pum, pum." 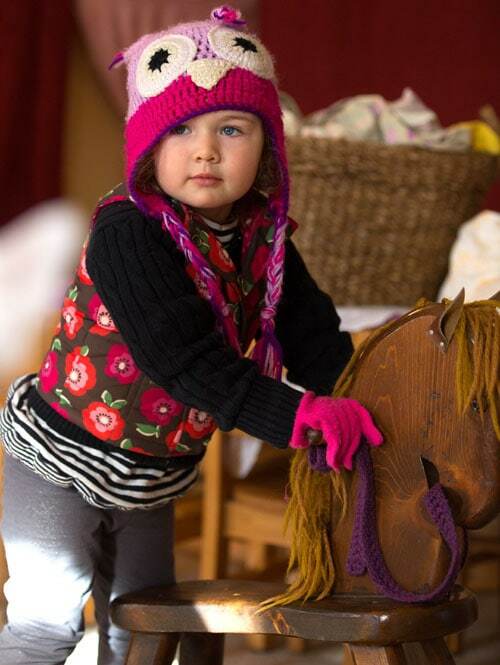 Eyes wide open, ears engaged to the puppet show..where do the bears go come winter! When icicles hang on the Magnolia branches, ready for the taking--winter popsicles. The breath of children napping under down rainbow beds, silent as the falling snow. When the no man becomes the snow man. Where building blocks are chunks of snow and sand castles become snow castles until like, "MacArthur's Park," they melt in the dark. Where children form a train on sled and slide down the hill in perfect unison, only to crash, roll and laugh at the station. 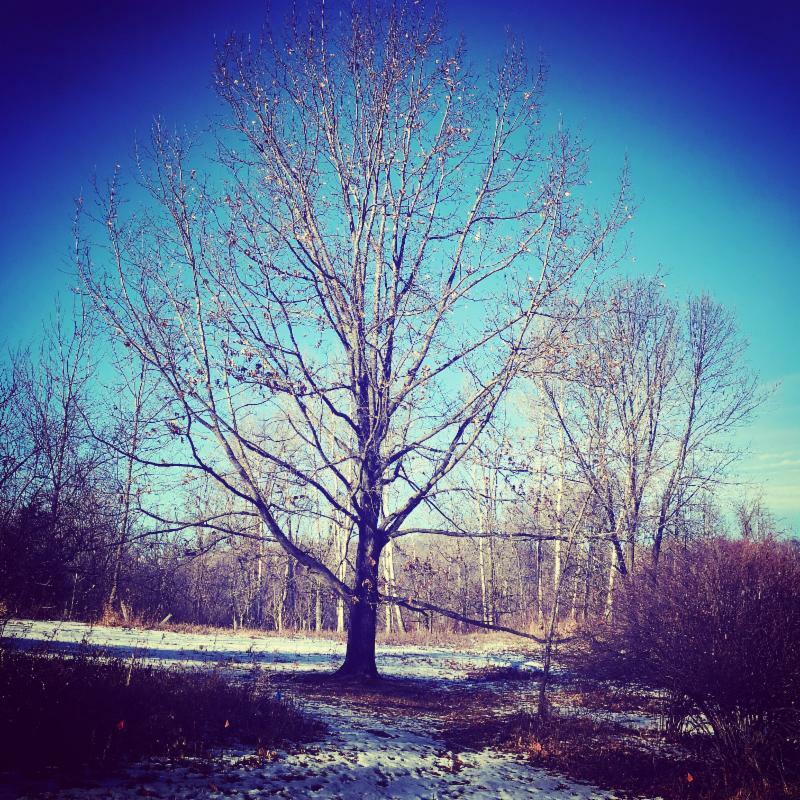 When you go caroling in the woods, knock on every door (tree) and sing ,"Joy to the World." This past December my son’s teacher led his class into a dark Eurythmy room and sat the parents around an outer circle. Our children were welcomed to sit closer to the arrangement in the middle of the room. 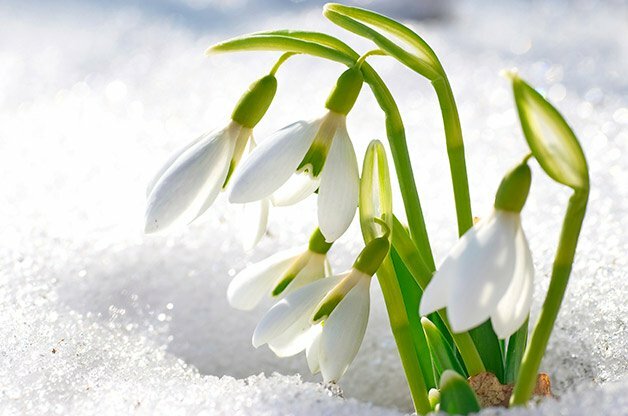 Their little round faces sparkled with wonder reflecting the golden light from a grouping of snow colored candlesticks. One by one, holding hands with their teacher, they were given a candlestick and guided towards a green spiral of fir branches. A guitarist began stroking strings, echoing their gentle steps through the darkness. I remember my son glancing up towards me, his face in subtle awe. My heart was overflowing with pride as I saw a flash of all the leaps and moments that will merge together to become his full life. When he reached the center of the spiral, he lit his candlestick and retreated around the labyrinth, this time with his own clear sense of pride. Life on our dear Earth is truly a marvelous adventure. Along its course we will find ourselves in most interesting, and often rather magical moments. If we are ready to embrace their miraculous nature, we will be blessed with the experience of true Beauty. Beauty that is not easy to share through a photo, Beauty that is known with our full being when we are in its presence, Beauty that fills our soul with hope, love, and a sense of joy, Beauty we have no choice by to write with capital B. We have all heard the expression, “Beauty is in the eye of the beholder.” To me, what this says is that each of us has our own unique way of experiencing pleasure, joy and inspiration through the senses, mind and spirit. When we recognize and admit the experience of beauty consciously, we honor a part of our soul, and sometimes the soul of another. There can be many kinds of beauty— simple, terrible, awe-inspiring, heartwarming to name a few, and each can reflect a unique part of our constantly growing soul capacities for consciousness, connection and creativity. Every day at Rosebud Garden , we live life with intention and make decisions with a commitment to bring beauty into everything we do. Acting with intention in every aspect of daily lives helps us better focus on what we are striving to achieve. When we strive to cultivate an eye for beauty and keep this at the heart of our everyday lives, we live with intention and purpose. It leads us to greater fulfillment, greater joy and greater peace! 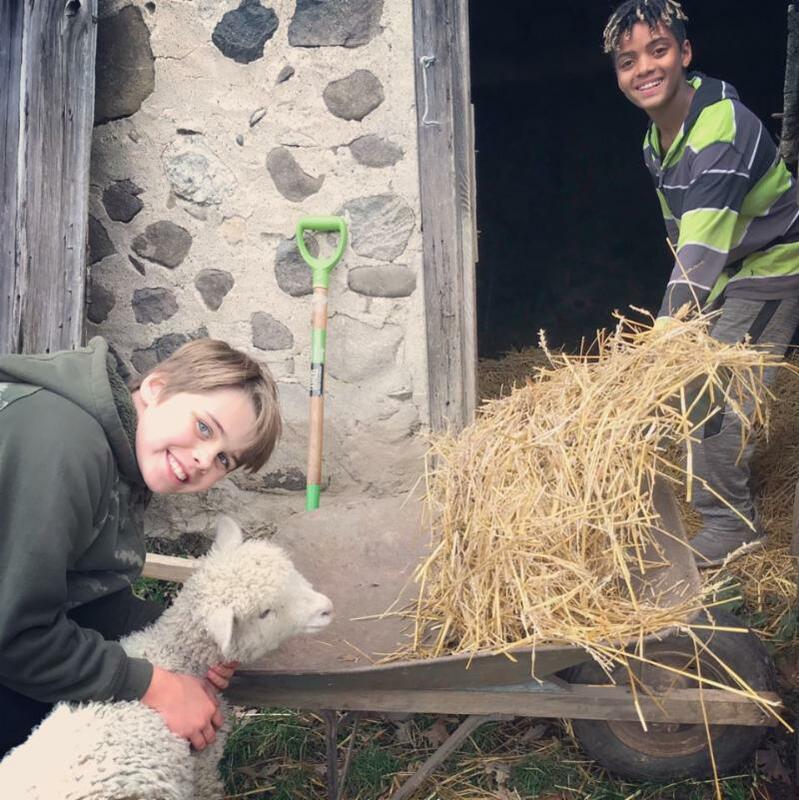 At Rosebud Garden we carry beauty with us, from the materials we select for our classrooms – wood, wool & cotton to name a few – to how we serve our food. 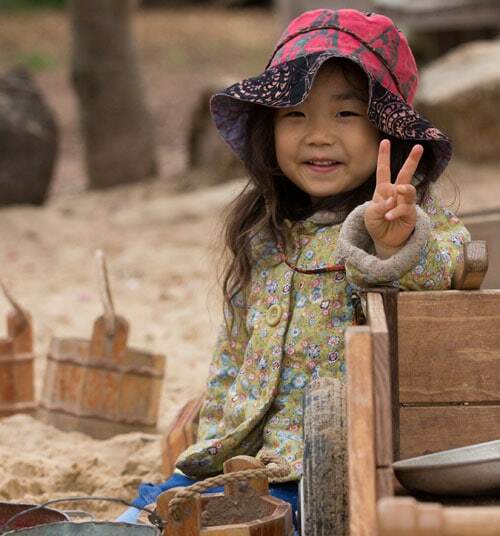 When adults consciously present children with beauty, it is a gift we can give without explanation. It simply becomes the way we live and what we do. When children are surrounded by beauty, they feel it and it becomes a part of who they are. Beauty nourishes every part of us and is deeply felt on a soul level. Our senses are nourished and our bodies are enlivened. In Rosebud Garden, the children arrive each morning and are welcomed in the coatroom. The beauty of the coatroom can be seen and felt by its order. Simple beautiful rugs lay on clean floors swept the previous afternoon. Children’s boots are in order above their cubbies. Coats and jackets hang neatly on each child’s hook and baskets holding extra clothing are neatly tucked in place. Chinyelu is a lead teacher in the Rosebud Garden programs. She received her Bachelor of Fine Arts in Interior Design from the New York Institute of Technology, and her Master’s in Architecture from California Polytechnic University in Pomona, California. 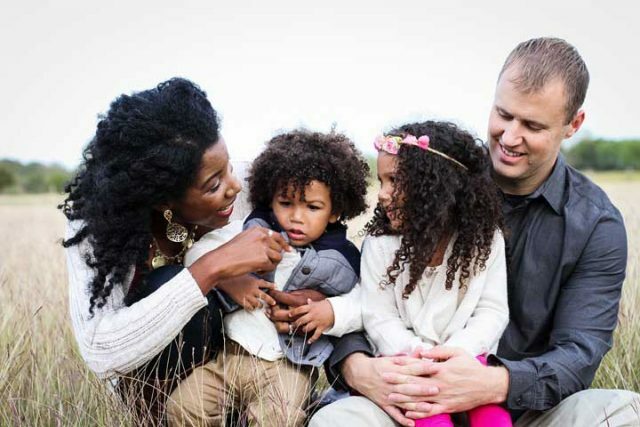 Chinyelu has also received Waldorf Early Childhood Teacher Training from Sunbridge Institute in New York, as well as a LifeWays Certificate in Human Development. 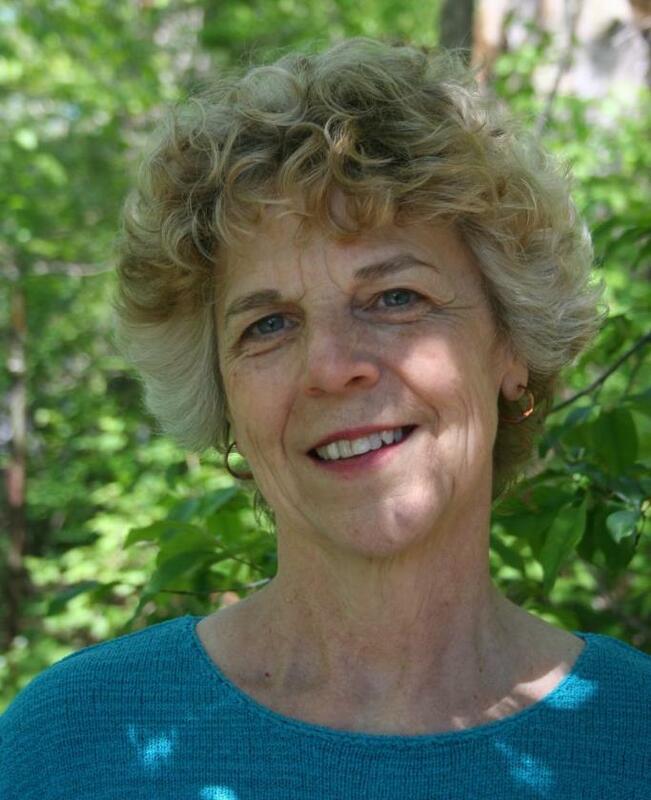 Chinyelu works with LifeWays North America to develop healthy programs in Rosebud Garden and adult training programs for early childhood teachers, parent educators, parents and caregivers. LifeWays Representatives are highly regarded and offer the wonderful opportunity for students to visit places where they can see The Living Arts in action. 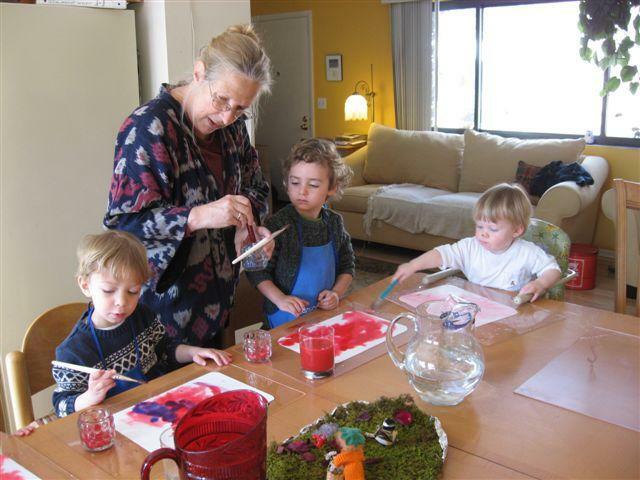 Their approach to working with children and families is based on concepts taught in the LifeWays Early Childhood Certification Training with particular emphasis on Rudolf Steiner’s research on human development and care of the senses. All primary caregivers in LifeWays Representative locations have completed the LifeWays training, or its equivalent, or are currently enrolled in LifeWays training. Becoming a LifeWays Representative brings many benefits ! Join us in sunny Florida! In this unique location, you’ll enjoy learning from experienced teachers and inspiring colleagues in the field, while walking on the beach during your lunch break! Jacksonville Beach is a choice vacation destination. Make a family holiday of your training time! Enroll by July 21, 2019 and save $225! Looking for creative financing options to cover your tuition? Are you a new assistant or a parent volunteer in a LifeWays program? Will it be a little while before you can enroll in the full LifeWays Early Childhood Certification Training or a Waldorf Teacher Training? 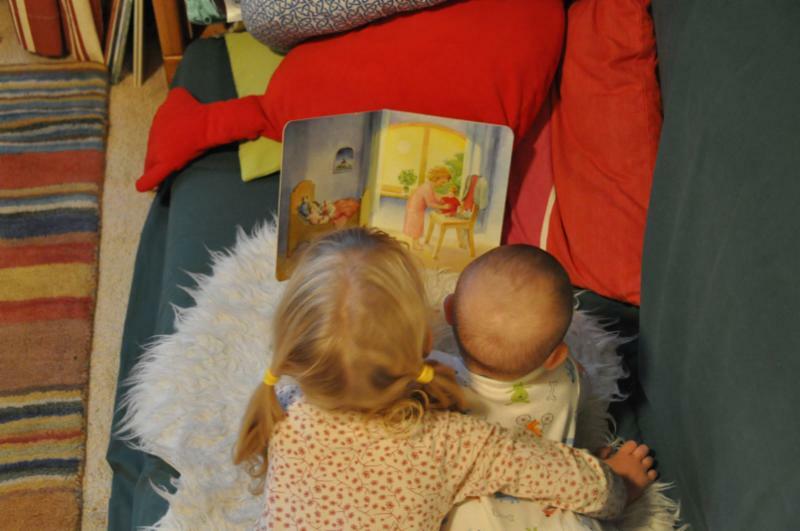 * Understanding : explore the work of early childhood with five mentoring sessions through the course of the year. * Connection : Students from all four locations will then join in the online course and mentoring sessions. Your entire tuition paid for this course can be applied to the full LifeWays training! 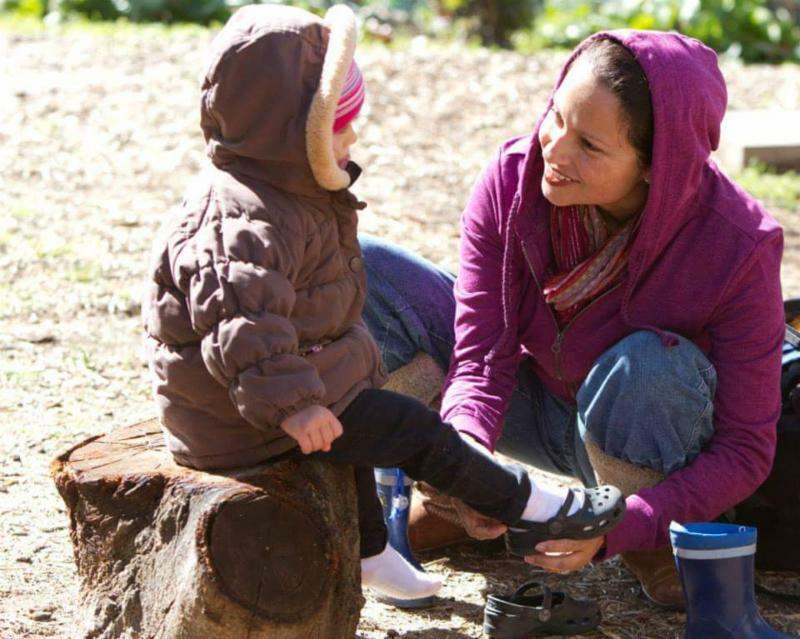 ﻿By connecting to the rhythms in nature that exist all around you, and creating time to connect with your own intentions, you can embody the qualities you wish to cultivate in your parenting. Our warm and respectful community of parents and teachers are here to inspire, listen and share. Enjoy the Spring Edition for only $59! LifeWays Online Courses are bursting with value! 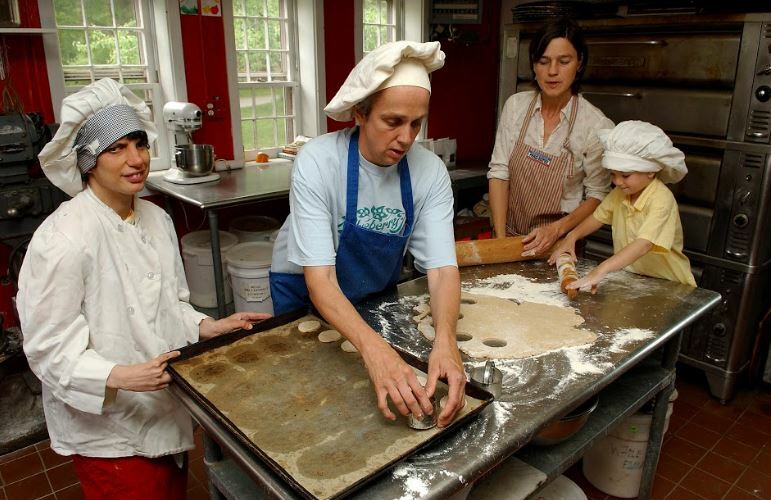 * Learn with friends: enjoy a discount for your group of 5 or more! * Come on back: repeat any course at a steep reduction (publication and certificate not included)! 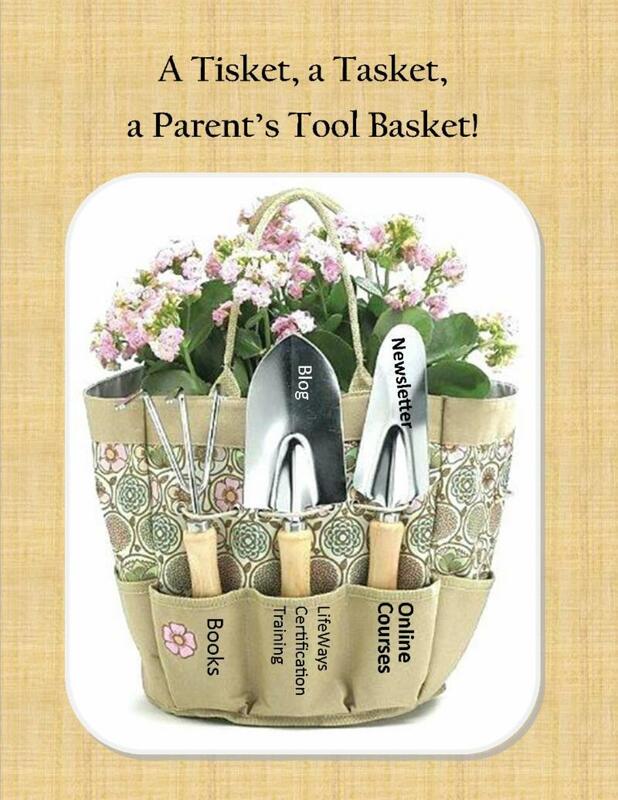 * SAVE: Staff and Parents of LifeWays Representative programs receive 25% off! Can We Really Do This Work Together? 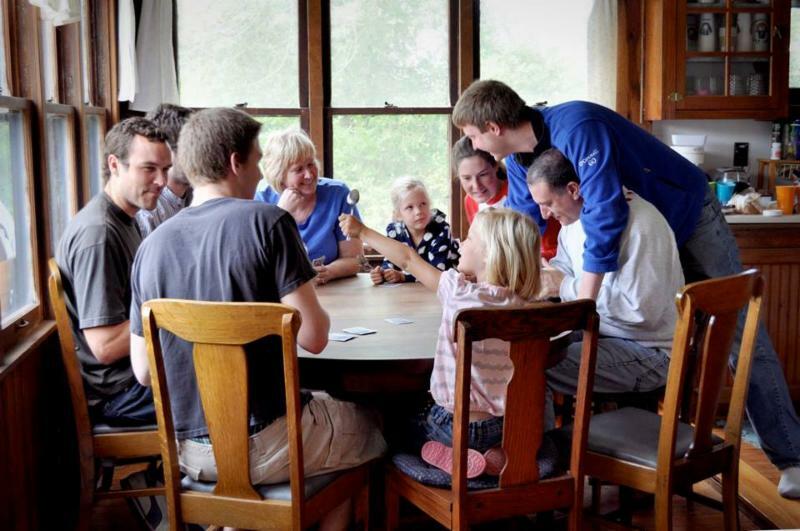 Couples Parenting, Co-Parenting, Single Parenting, Grandparenting, Multi-Family Parenting – All Are Welcome! 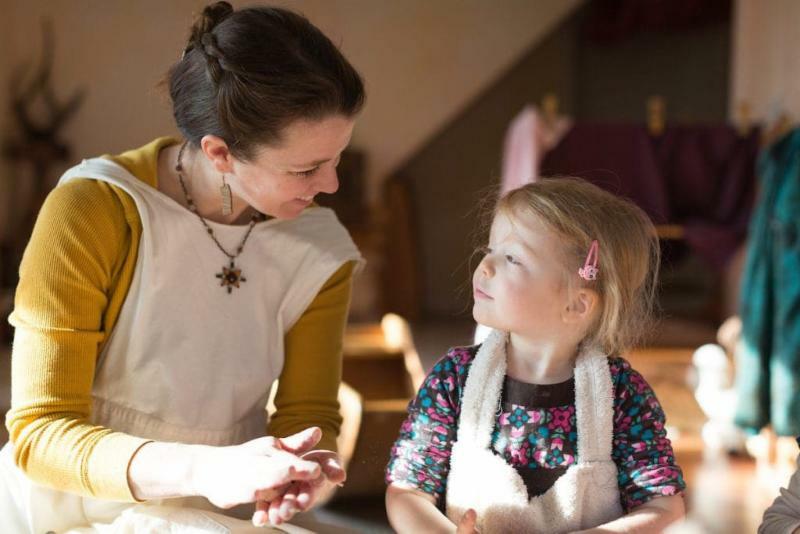 Join Lifelong Waldorf Educators for an engaging evening of content and conversation! 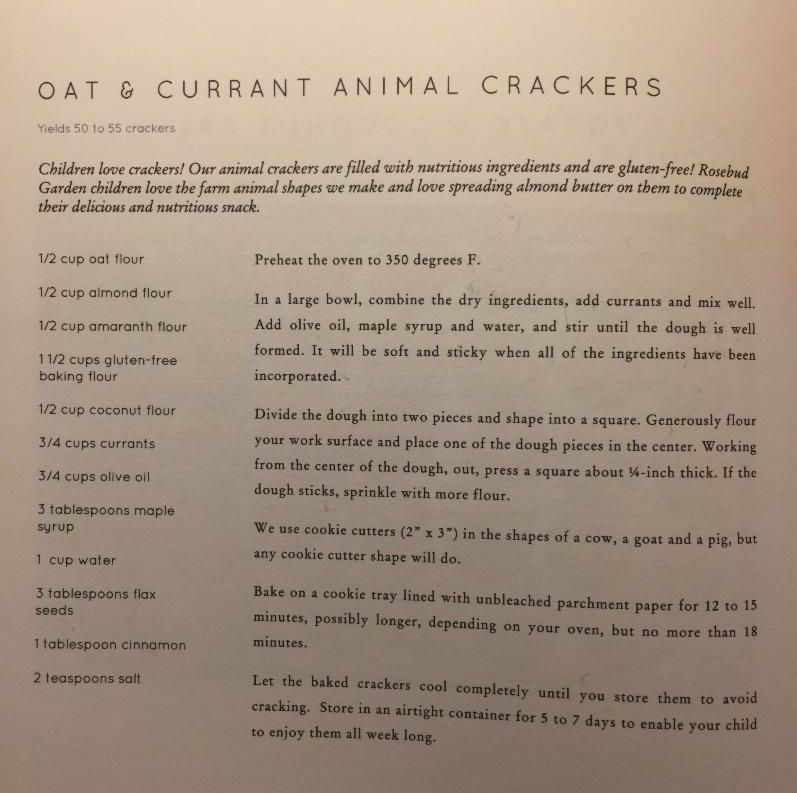 April 17, 2019 4:30-8:30 p.m.
"This is the book that I would like to tuck into the apron pocket of every LifeWays home caregiver. Now expanded to be a comprehensive support for creating healthy environments and tending to the healing processes of body, soul and spirit in both youngsters and ‘oldsters’. It’s a handy reference for preparing baths, poultices and wraps, now supported by a collection of carefully selected articles on homecare. 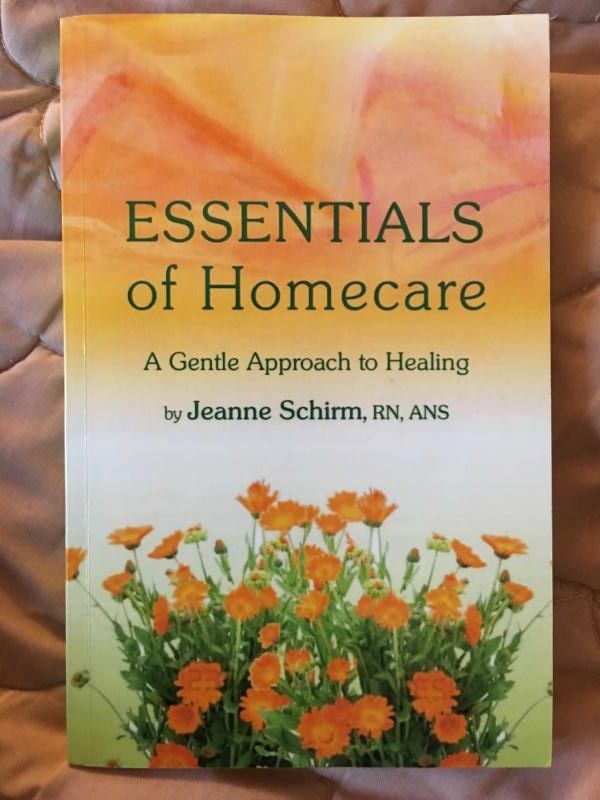 ESSENTIALS of Homecare is a treasury of knowledge and insight that is the fruit of Jeanne Schirm’s life work as an anthroposophical nurse." 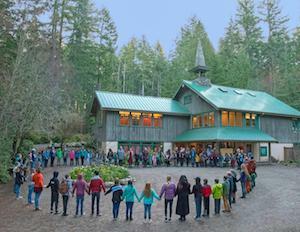 Whidbey Island Waldorf School is hiring! 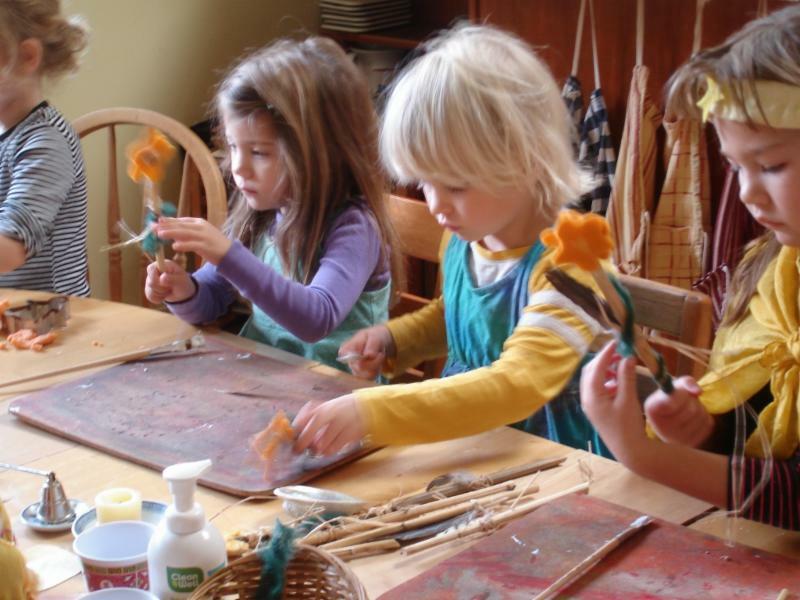 Whidbey Island Waldorf School is seeking an early childhood nursery teacher with a focus on care for children from birth to 3 years old and their families. This position will include being the lead teacher for the Nursery class for children 1 - 3 years old from 8:15am - 12:15pm and facilitating a parent/ child program for children from birth - 3 years old from 9am - 11am. There is also a focus on outreach and parent support as this position is often the first school experience for families. Currently, the position is expected to be .8FTE with 3 days of Nursery classes and one parent/ child class each week. 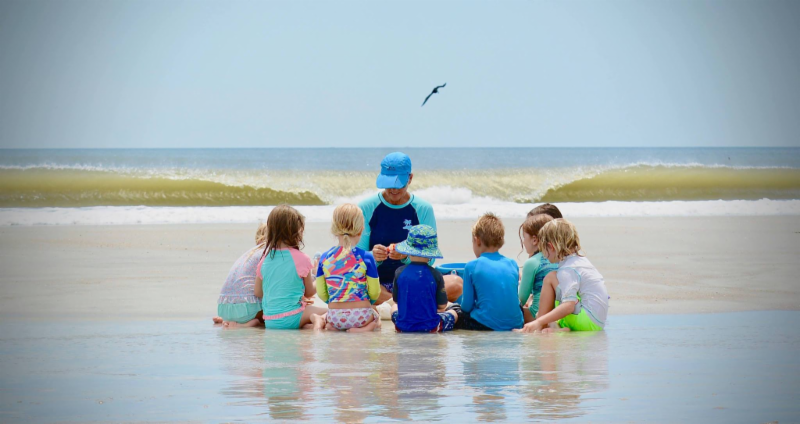 Our school’s rich Waldorf tradition, high caliber teachers, engaged parent body and beautiful island location all combine to make us a “destination” school. 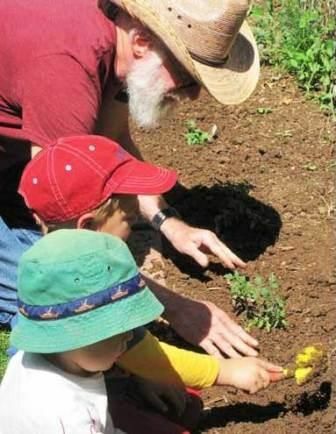 Founded in 1985, the Whidbey Island Waldorf School is located on the south end of Whidbey Island in the Puget Sound within the rain shadow of the Olympic Mountains. Our school’s buildings are set amidst 100 acres of ecological trust forestlands where our classes often walk and study. Our island location offers a peaceful, family-oriented atmosphere with beaches, trails and easy access to several national forests. For more information, visit WIWS.org . Over the past year, we have welcomed hundreds of new people to our LifeWays community through our weekly blog. 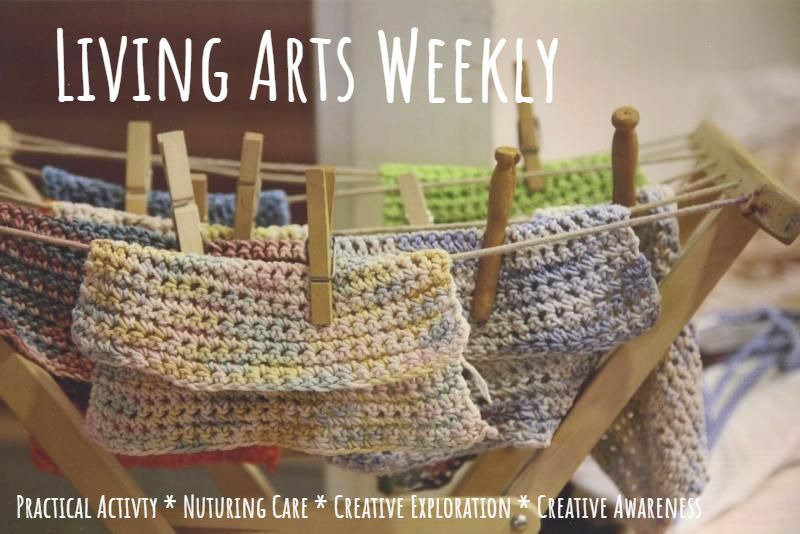 We've explored the Living Arts through themes like Community , Clarity , Collecting , Changing and MORE . 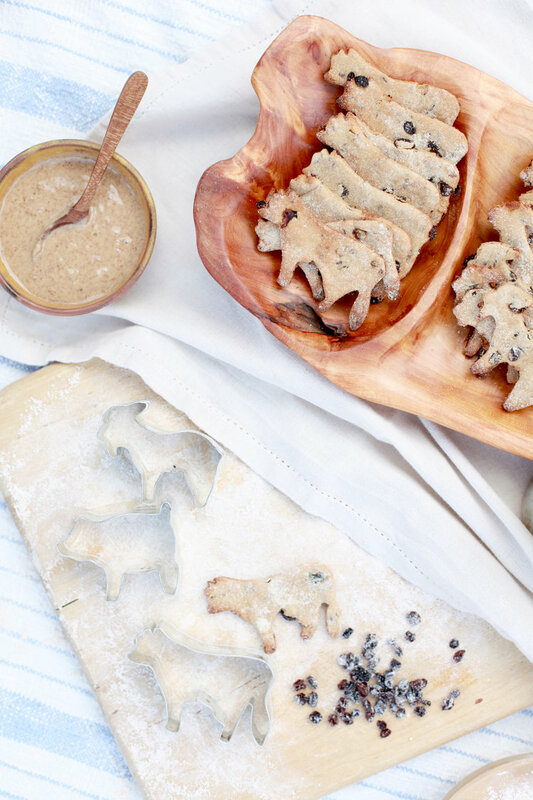 Nourish Yourself with the LifeWays BLOG! Parents , explore a variety of tools and resources to support and enrich your home life with children. 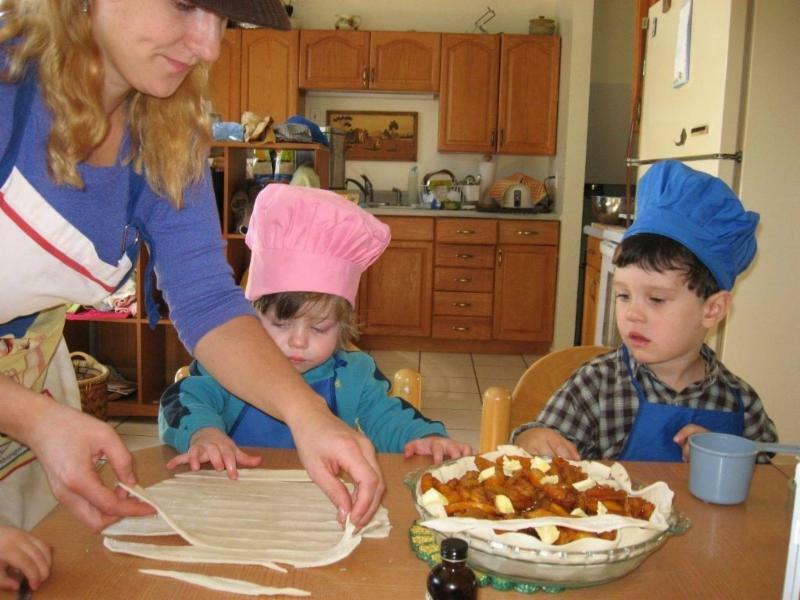 100% of proceeds from the sale of Farmhouse Manna cookbook and guide benefit the Early Childhood Programs at Kimberton Waldorf School in Kimberton, PA.